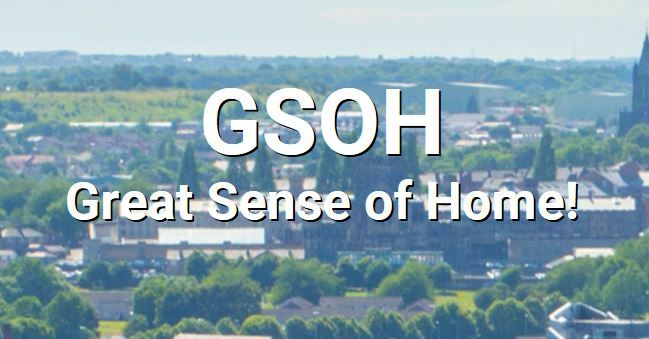 GSOH – Great Sense of Home! What is Great Sense of Home (GSOH)? Based on the popular dating website theme, If you are planning on moving house, GSOH can help you explore your options in a city. Individuals answer as many questions as they like on what they find interesting or useful – from access to libraries to dementia friendly cafes, and the more they answer the more accurate the neighbourhood match will be. The website takes away the need for guesswork and puts the individual at the heart of moving. GSOH was originally designed for older people and their support networks to help them choose neighbourhoods best suited for their lifestyle. It can however be used by anyone who wants to find out more about the city and discover new neighbourhoods without travelling long distances or relying on opinion. The website is easy to use and runs on multiple platforms – computers, tablets and smart phones. What are the benefits as opposed to commercial services? Unlike other commercial property platforms, GSOH gives you the whole picture. Based on your answers it matches you with neighbourhoods that best fit your needs. You can use GSOH as a research tool. It is your first port of call to help you find the best place to live. Technical innovation – how does GSOH work? GOSH pulls geospatial data from various sources into a standardised format in an SQL database for further querying. The library can query the Overpass (OSM) API and the CKAN API. It uses the Geokit Plugin to perform interesting analysis on that data. We can develop GSOH for your city. It is an open source application written in ruby on rails. In order for you to get the best out of GSOH you need a CKAN compliant open data repository and data sources containing geolocation such as latitude and longitude. We also support Easting and Northing. If you don’t have a data repository, then GSOH can work with data available for free on Open Street Map.